Pride Mountain Vineyards sits high atop the Mayacamas Mountains, straddling the Napa and Sonoma county line. 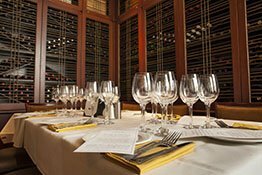 Located at the site of historic Summit Ranch, where wine grapes have been grown since 1869, this beautiful setting includes wine caves dug deep into the mountains and the haunting ruins of an old stone winery that dates back to 1890. The wooden-beamed, modest-sized winery blends smoothly into its mountainous surroundings and California heritage. 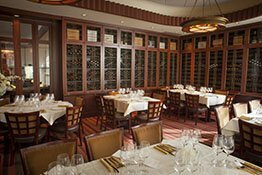 Pride Mountain Vineyards produce estate-grown Cabernet Sauvignon, Merlot, Cabernet Franc, Syrah, Sangiovese and Chardonnay. The vineyard is situated at the top of Spring Mountain; the 235 acre property offering spectacular views of the estate’s 85 vineyard acres and the surrounding mountains. 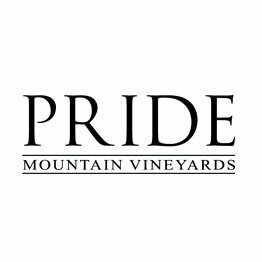 Jim and Carolyn Pride founded Pride Mountain Vineyards in 1990. 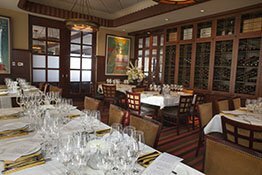 It is renowned and recognized as one of the “world’s greatest wine estates” by Robert Parker, Jr. Their wines have appeared numerous times on The Wine Spectator’s Top 100 Wines of the World list, and have been served at the White House more than 25 times during the last two decades, making them highly sought after vintages. There are currently 19 seats still available for this event.